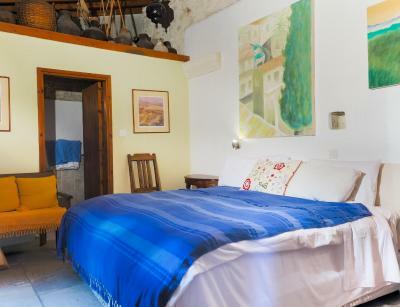 Highly atmospheric, with a fantastic location steps from the town square. Incredible details and historic elements in the apartment. The location is fantastic, amazing locals with friendly welcoming. Romantic quiet little pretty space. Not the most comfortable but amazing layout of the apartment!!! 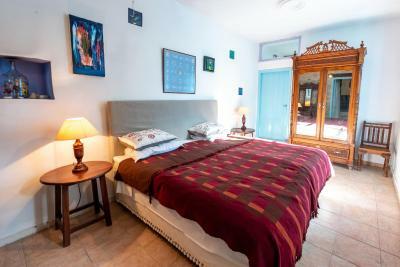 Spacious appartment, nice bed, equipped kitchen, free wifi. 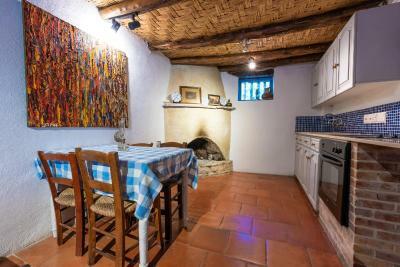 The rustic style property was so pretty & quirky and felt like you were living in amongst the locals the way they live . 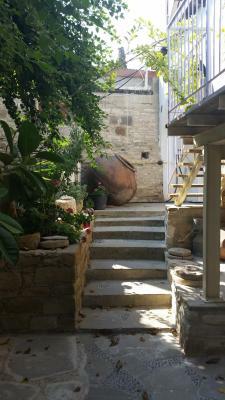 It was a central location, was very peaceful and quiet surroundings and the local restaurants were excellent. Parking was very good. It was nice having access to a swimming pool which was just a few paces away from the apartment. There were cats everywhere, which we thought added to the charm. Location is great. Friendly stuff, always ready to help. Loved the whole structure of the accommodation. Beautiful rooms. You have your privacy. We rented three apartments for our family. They were nicely planned and decorated in traditional greek style. 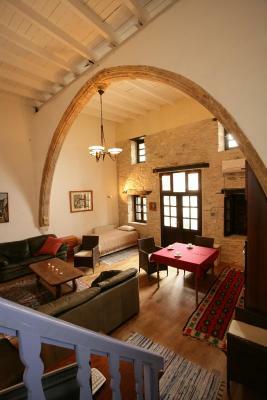 The apartments were very spacious and included also living areas, kitchen, and courtyard. The problem was the maintenance. The managers were very considerate regarding our arrival and checkout times as our flights were scheduled at very unusual hours! The location is perfect. The village is very nice. The house is huge and nice with nice veranta. 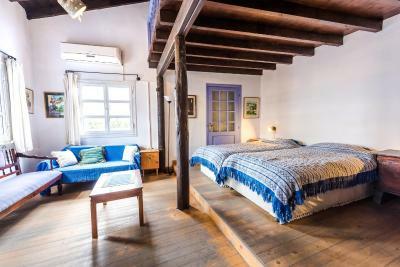 This 300-year-old house offers beautifully appointed self-catering apartments in Kalavasos, offering an authentic experience of Cyprus and old world charm with its preserved architecture and charming Cypriot antiques. 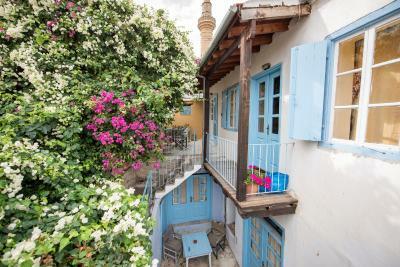 Cyprus Villages Kalavasos is built around courtyards filled with vines and exotic flowers. 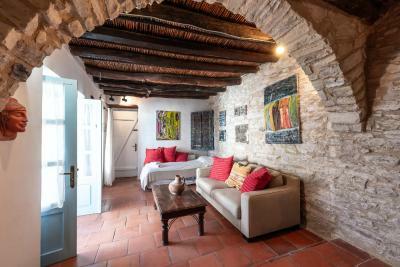 Each apartment is designed and appointed to compliment the heritage of Cyprus Villages Kalavasos and features wooden beams and antique furnishing. 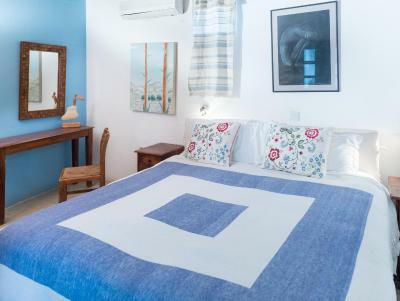 Along with the rustic ambiance, Cyprus Villages Kalavasos is equipped with modern amenities, including air conditioning, for your comfort and convenience. Free private parking is also available during your stay. 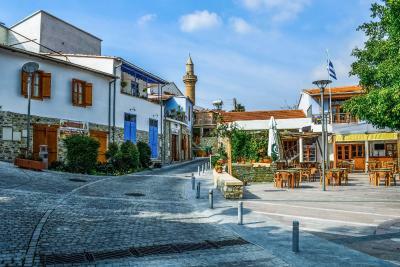 Relax in Cyprus Villages Kalavasos' charming village square and enjoy a coffee or dinner with other residents at the traditional taverna. 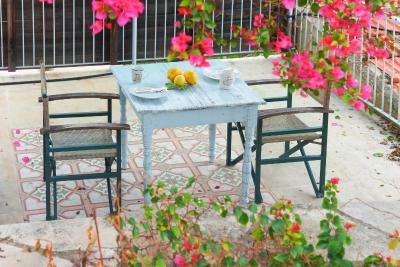 Wander around the beautiful citrus groves and visit the local taverns and shops of Kalavasos. 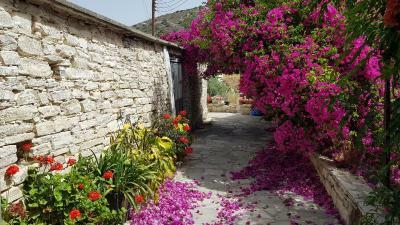 Experience the heart of rural Cyprus and enjoy wine tasting. Learn how to make halloumi cheese and olive oil. The nearby Neolithic site of Tenta is one of Cyprus’ most important historic settlements and well worth a visit. 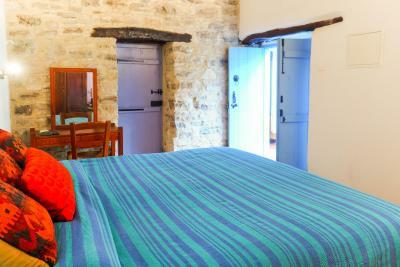 When would you like to stay at Cyprus Villages Kalavasos? 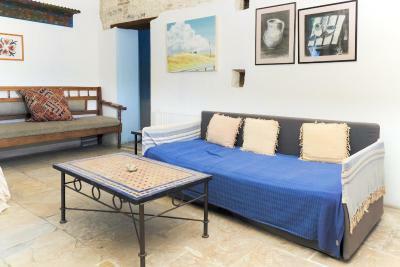 Spacious apartment with living room, dining area, satellite TV and balcony or patio overlooking the village. 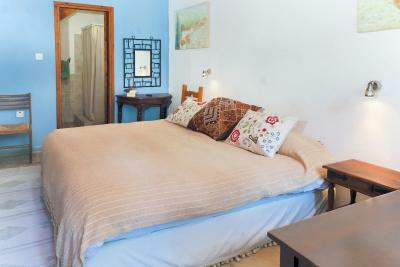 The shared swimming pool is a 3-minute walk away. 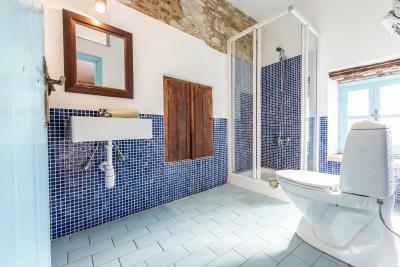 Stone-built apartment featuring 2 bedrooms with attached bathroom. 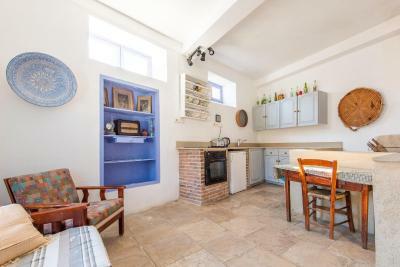 It includes a fully fitted kitchenette, spacious living room, dining area and satellite TV. It opens out to a shaded furnished patio. 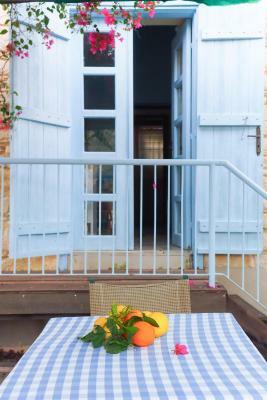 House Rules Cyprus Villages Kalavasos takes special requests – add in the next step! Cyprus Villages Kalavasos accepts these cards and reserves the right to temporarily hold an amount prior to arrival. 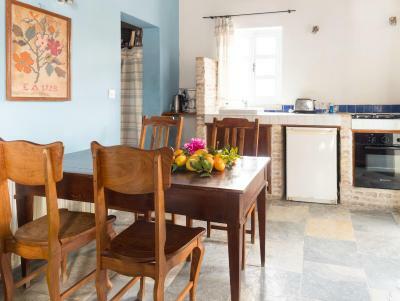 Please let Cyprus Villages Kalavasos know the exact age of the guest in order for the property to make the necessary arrangements. Kindly note that the shared pool is a 4-minute walk away. Please inform Cyprus Villages Kalavasos of your expected arrival time in advance. You can use the Special Requests box when booking, or contact the property directly using the contact details in your confirmation. 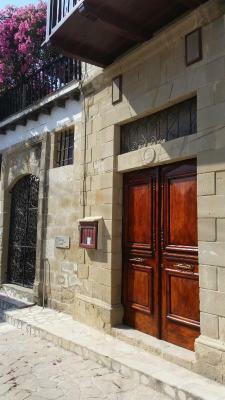 Please note that check-in and key collection take place at: Tochni Tavern-Cyprus Villages reception, tochni 7740. Very dark and damp, with old furniture pushed into corners and a mop left by the entrance. Dirty fridge and overall felt like it could use a good scrubbing. Wifi worked less than half the time we were there. Perfect place in a perfect Village. We had to call 15 mins prior the arrival to arrange to be there and hand us the keys. We did but the person came 10 mins after we arrived. The place is withon a residential area and the neighbours were shouting at 8 in the morning on a Sunday. No toiletries in the bathroom. The larger pool area for all to share was a bit dirty and neglected which was a shame as views fabulous. 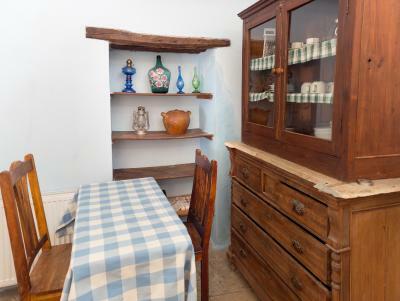 Missing a few bits in kitchen area eg kettle & knives but we coped . We did not get the apartment we booked on this website, in fact when we showed the pictures to the staff we were told that apartment wasn't even in Kalavasos, but Tochni! The room was much smaller, the kitchen was tiny and didn't have much on offer so we ended up not cooking much and going out more. The room was incredibly dark, even with all the lights on we couldn't see what we were doing. Incredibly disappointing because we only booked because the specific images for the booking looked nice, but what could we do when we were given a completely different place? Lack of kitchen facilities. Noisy neighbours. A little bit untidy. The only problem is that you advertise swimming pool but the pool is far from where we were and needed a map to get there. Also the cleanliness could be better. It was not dirty but had a lot of spiderwebs, dust, etc.. Except salt and pepper, there is not much to find in the kitchen: some sugar, coffee or tea would be nice. But we got it in the grocery store. We (2 adults, 2 kids)stayed in Tenta, an apartment in kalavasos and we had the whole top floor for us. The pool was in about 2 minutes walking distance and big and steep. The village is very beautiful, close to the beach (10 minutes by car) and offers a lot of infrastructure: grocery shops, Lots of vivid restaurants and a few touristic shops. 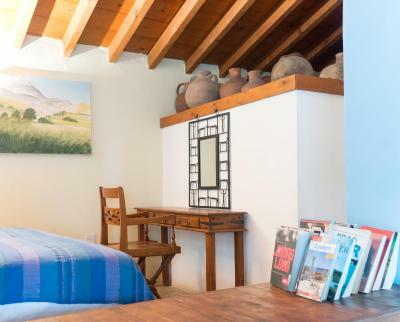 The apartment was big and comfortable and we could enjoy an amazing view over the village. The hosts where very kind and as soon as we requested additional things like an air fan for the living room where the kids slept, it was there right the next day. We even cooked twice in the kitchen and could find all the equipment we needed in there. The problem was the maintenance. in one apartment the electric outlet of the AC did not work in the kitchen area so it was stifling hot; also, the key in the front door (main entrance) could not be extracted, so we could leave the apartment only from the floor below. In another apartment, the AC worked only partially, and did not cool well. 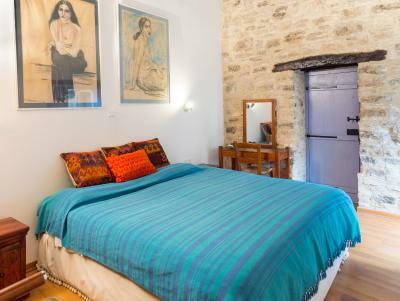 In the third apartment the problem was that there was a gallery above with a double bed, and two beds underneath on ground level. The AC was located above ground level, so it was not at all effective upstairs - again stifling hot! Our recurring calls asking to solve these problems were not very effective. Regarding the room with the open gallery - this should be stated clearly on the website, as it is not always acceptable to everyone. Also, the small swimming pool is hidden among the buildings, with no signs leading to it whatsoever. It took us a good 45 minutes to find it! All in all - this is a lovely place in a lovely village - if only it were properly maintained! Very dirty everywhere with dust all over the room, the place we stayed have nothing to do with the place that the photo's show.